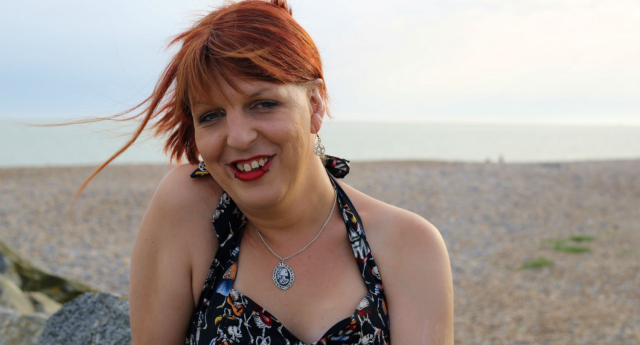 Trans activist Sarah Savage writes for PinkNews, reacting to suggestions that LGB and trans people should be seen as members of differint communities. There has been a lot of talk within the trans* community recently about whether there should be an effort to separate ourselves from the LGB banner and form some new movement just for trans* people. The main separatist argument, from what I can gather, is that lesbian, gay and bisexual people are defined by their sexuality, and that for transgender people it is our gender identity that unites us. I don’t need to bang on about how gender and sexuality are different concepts, this is a well known fact but the people calling for the removal of the T claim that ‘the general public’ aren’t well educated enough to know the difference. Enough of the generalisations, I say. The general public (whatever that means) aren’t stupid, I have honestly never met a single person who believes that all trans people are gay or that all lesbians are temporarily embarrassed trans men. There has been a plethora of gender variant stories in print and on television in recent years, positive representation of trans* people has never been so good and not once has somebody I’ve met in everyday life asked me if I’m just a gay man who wears women’s clothes. The recent comments by Caitlyn Jenner on The Ellen DeGeneres Show shows how diverse we are as a community – Cait the Republican didn’t agree with equal marriage but has now “softened” her stance – unlike Kellie Maloney who still believes gay people shouldn’t have children. Some trans people have bigoted opinions, just like a small minority of cis and LGB people do too, we will never agree on everything. The only thing that ties people like us together as a community is that, by no choice of our own, we are gender and sexually diverse and because of that we are discriminated against. Lesbian, gay, bisexual AND trans* people all know from bitter experience what it is like to fight for acceptance from our families, friends and the wider world. The struggles we face are so similar, excluding the trans* experience could be the most dangerous thing to happen to our community since Section 28 when Thatcher made it illegal to teach children that it’s OK to be gay. How would LGB people feel about the trans* community turning their collective backs on them? I’d be pretty annoyed if somebody I had always made an effort to include turned around and gave me the finger. As a trans woman I am so grateful to the countless lesbian and gay campaigners who have won protections for us all. I will be eternally grateful for the generation of out and proud gay people who have shown that you can be different – these are the people who have taught me through their actions and given me the courage to be true to who I am. To all lesbian, gay and bisexual people; thank you for all the help you have vicariously given me, ever since I was a young kid learning that there were other people like me, thank you for showing me that life can get better. I promise that I will never turn my back on you. Read More at Pink News.